Dorise is a License Esthetician, she received her certification and license from Paris Beauty College in 2007. After working in Spas throughout the Bay Area Dorise joined the Golden State Dermatology team in April 2015. Dorise is trained in a wide variety of treatments and products; SkinMedica, Obagi, EltaMD and SkinCeuticals. Her services include; HydraFacial treatments, Facials, Acne Surgery and Chemical Peels. 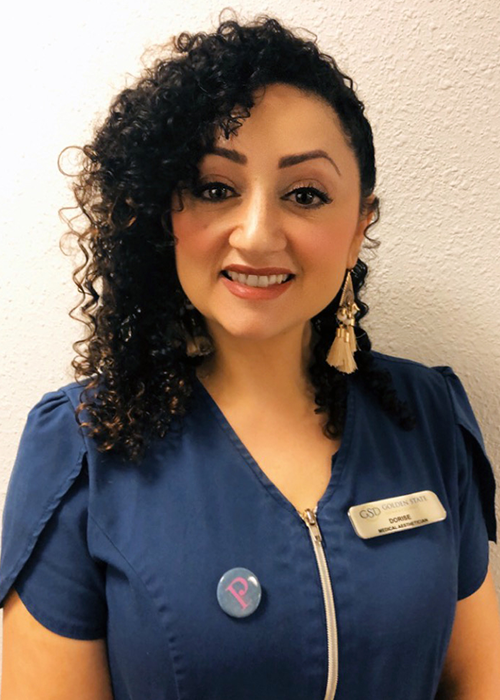 Dorise is passionate about working with patients, analyzing their skin and providing a treatment plan that best targets her patients’ concerns and goals. Dorise continues to stay educated in the latest skincare trends and techniques. During her time off, Dorise enjoys spending time with her family, playing with her kids and trying new recipes.